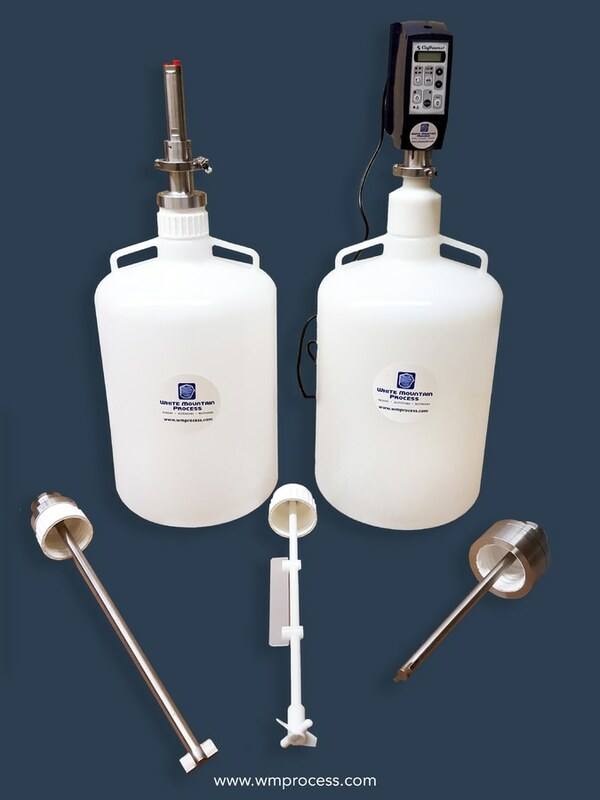 White Mountain Process provides a wide range of Carboy Mixers and Carboy Tanks Bleeding Systems for single use mixing, CIP/COP cleaning protocols, and autoclave sterilization situations. The agitators and stirrers range from economical mag drive top entry blending to more sophisticated mixing arrangements with custom ports, dip tubes, vent filter and instrumentation for a complete engineered mixing system for lab mixing, R&D or production blending. The propriety engineers sanitary mixers to meet all biopharma clean ability standards. The mixers have gold documentation packages for GMP requirements. 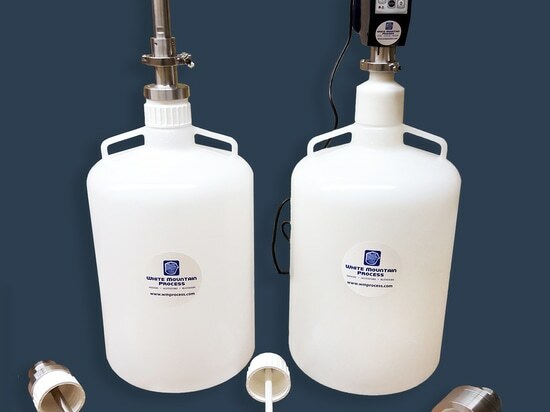 The tanks and vessel availability include HDPE polyethylene (USP VI and FDA certified materials), PP polypropylene (USP VI and FDA certified materials), PETG (USP VI and FDA certified materials), PC polycarbonate (USP VI and FDA certified materials) and mixers to fit any cap including 83B cap, 38, 45, 53, 83 and 120mm cap sizes. Mixer availability includes electric variable speed mixer with USP VI vapor tight seal, top mount air operated agitator (pneumatically driven air motor mixer style) with all stainless steel air motor, mag drive top entry poly mixer (nonmetallic mixing with top mount magnetically driven stirrer), single use mixer, we mixer drive you re-use, COP/CIP agitation setup that is easy to clean in place or via parts washer and CIP cleaning stations.